The Cornwall Free Public Library is located in the Town Hall and is open during normal office hours (Tuesday – Friday, 9:00 am – 5:00 pm). The Library phone number is 802-462-3615. New materials are continually being added, so stop by and browse! The Cornwall Town Library is open to all Cornwall residents and does not charge card fees. There is no limit to the amount of material that may be borrowed, within reason. Books and Audio Books are loaned for 1 month and DVDs are loaned for 7 days. We ask that you return borrowed materials on time and in good condition. There are no fines for overdue materials, but a Good Conscience Jar is provided if you’re really feeling guilty — or simply forgot. Borrowers are responsible for replacement costs of lost or damaged items. Inter-Library Loan books are offered free, but voluntary donations for postage and handling are gladly accepted. The Library has a public use computer connected to a printer. We have wireless access so we provide free internet access to those of you who have laptops and devices with wireless cards. ListenUp! Vermont which gives you access to dozens of titles to read on your computer, MP3 player, eReader or other mobile devices. Universal Class which is an online continuing education program which gives library patrons access to over 500 online courses. The Library always welcomes donations of books, audio books, CD’s, and DVDs, new or used, and other materials. PLEASE remember that we cannot use items that have mold or mildew on them, or ones that are in really bad condition. Donated materials will be entered into the collection or sold as part of our annual library book sale. Did you know you can access e-books and audiobooks directly from your computer? 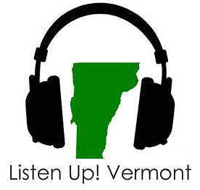 The Cornwall Library subscribes to the Green Mountain Library Consortium’s “Listen Up! Vermont” digital catalog, giving you access to dozens of titles to read on your computer, MP3 player, eReader or other mobile devices. Using your new electronic library card number, you can borrow and return digital content exactly like a traditional print or audio book… without leaving home. FREE ONLINE CLASSES. ALL YOU NEED IS YOUR NEW LIBRARY CARD. Universal Class, an online continuing education program, is now available to Cornwall Library patrons at no cost! Universal Class is a new learning program available through the Vermont Department of Libraries which offers over 500 classes online. Study anything from aromatherapy to website development, medical skills or finance to GED preparation 24/7 via the Internet – all at your own pace. The courses are taught by professionals, though the courses themselves are no-credit classes. Each person is welcome to enroll in up to five courses at one time and will have up to six months to finish each course. Begin exploring these courses by going to Universal Class and registering with your library barcode number.